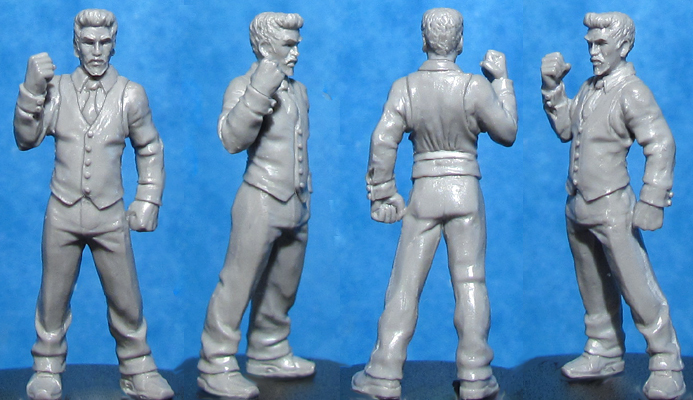 This is a 'one and done' opportunity to grab some very limited castings of the one-piece unarmed version of Francis. We haven't yet decided what weapon options etc to give him in the future so you can either arm him yourself or use him as an interesting civilian for modern or sci-fi games. This is a Limited Edition Resin 'Master Casting' of Francis. These Master Castings are strictly limited to however many we can get out of any Master Moulds before they deteriorate. These are about as limited as anything we've made and are the closest thing to Kev's original green as possible so hold the highest level of detail available.